I am the first to admit that I'm crap at budgeting. A mid morning coffee to perk me up before class, having a mooch around the shops after class whilst I wait to meet my friend for an afternoon coffee catch up, before I know it I've drained my monthly finances and all I've got to show for it are some over excited tweets and messages that I typed out on a caffeine high and a pile of recyclable coffee cups. This being said, one area of my life that I do try and budget carefully and make sensible choices is in the kitchen and with my weekly shop. It's so easy to save in this area by making some simple changes and these savings can really add up! I thought I would put together a little post about how I cook as a student and the areas of my kitchen where I splurge and where I save. I love cooking, the last couple of years especially have been full of experimental recipes and trying out new ingredients. I'd seen everyone's fav blogger babe Hannah talk about this on her insta stories and it sounded perfect for a student like myself. Every meal is prepared with only five ingredients, perfect if you are on a budget or are looking for a way to use up ingredients. I got this for Christmas and so far have fallen in love with the Harissa Chicken Traybake on page 107! I've made this for my family a couple of times and it's just so easy and tasty although I use one chicken breast per person instead of a whole chicken! A few others I've marked to try next include the Crispy Garlicky Chicken on page 109 and the Creamy Mustard Chicken on page 117. I do eat more than just chicken but it's often the cheapest to buy so makes up the majority of meals when I am at university. 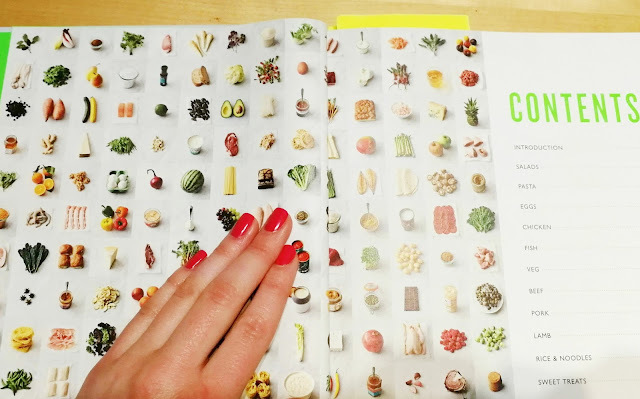 It even has a section for deserts which is perfect if you are hosting a dinner party or somehow get yourself roped into the constant stream of charity bake sales which pop up all over campus! 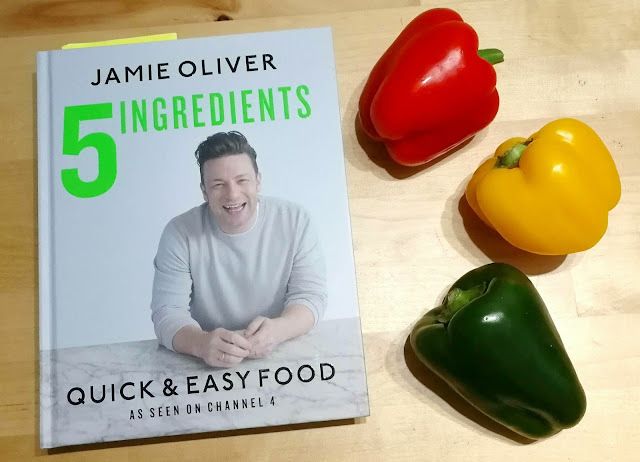 Let me know in the comments if you have this book and what your favourite recipes are as I can't wait to try some more! This might seem like a bit of an investment but hear me out! A small selection of spices can help transform a plate of bland and boring food to something exciting that you really want to eat. Adding some paprika to a chopped sweet potato and you instantly have a base for a meal or even just some seasoning to sprinkle over a chicken breast or vegetables makes cooking so much more exciting. I always make sure I have some Mixed Herbs, Chilli Flakes and Cumin in the cupboard as I think these three form the basis of an excellent collection. I'm not suggesting you go out and spend half your weekly shopping budget on spices in one go, but every time I go to Aldi (own branded spices are ssssso much cheaper than the branded ones) I pick one up to add to my collection. They last for ages and can really help elevate your meals making cooking more fun - does anyone else get really excited by sprinkling herbs and spices into sauces??? Talking of sauces, with your new spice rack you will barely need to buy a jar of sauce again! A tin of tomatoes will form the basis of most sauces and it's so much cheaper than buying a jar. Pick some of your favourite herbs and spices and you have a sauce just as tasty as anything that could have come from a jar and a hell of a lot cheaper and healthier. Add a few vegetables and you're good to go! This is something I've started doing recently in an attempt to reduce wastage and cut costs at the same time. Whilst some may argue that it's better to buy the large bags of vegetables you often see in supermarkets, realistically I'm not going to eat a kilogram of potatoes by myself before they grow sprouts and run away, so I've started buying my vegetables individually. Buying as and when I need them reduces the amount I throw away and is also much more cost effective. It also means you get the freshest ingredients as I tend to pick up my fruit and veg on my way home after class. I feel like everyones grandparents tells them to do this when they go away to university but it honestly is so helpful! Most recipes serve four and on the occasions where I do buy a big jar of sauce then I make enough to put three portions in my freezer. That way if I am running late one day or get home and don't know what I want to eat I can just look in my freezer and see what I can take out to defrost. It works out much cheaper than making individual portions and it means I will always have something homemade and healthy if I need it. Let me know in the comments if you have any tips for cooking as a student as I would love to know! These are just a few that I find really work for me but I would love to know what you do and where you spend and save in the kitchen as I think everyone finds a way that works best for them. I really wish Jamies book was around when I was at uni. It was a present I recieved at christmas and it's just incredible!! jamie's cookbook is incredible, right!? my mum bought that for me a little while ago and i've used it so many times. i can also vouch that the crispy garlic chicken is OUT OF THIS WORLD - definitely give that one a go! i'm actually salivating at the shere thought and it's not even 9am yet!